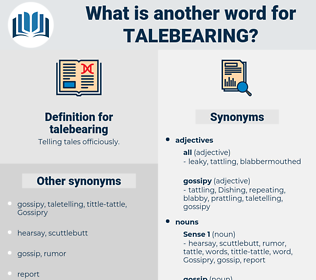 What is another word for talebearing? The king did his best by intrigue, by calumny, by talebearing, by inventions, to set the Huguenots against each other, and to excite the mutual jealousy of all his most trusted adherents, whether Protestant or Catholic. 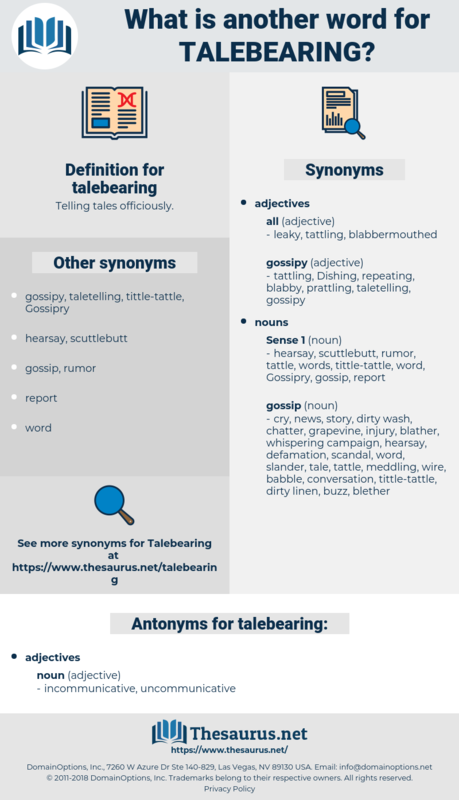 Who knows how they might play on his honour as to talebearing?